The Cardinals’ farm system has finally found the validation it’s been looking for since the Walt Jocketty era ended. Number 1 farm system in MLB! WHOOO! Much of that is likely due to (but not limited to) the bevy of young, talented arms the Redbirds possess – from Shelby Miller to Carlos Martinez and Tyrell Jenkins. Combine the number 1 ranking, the pure number of pitchers available to the Cardinals, and the price of recent pitching contracts (ahem! King Felix), and the result could be somewhat of a “seller’s market” for John Mozeliak and his assets. But how should he use his assets? 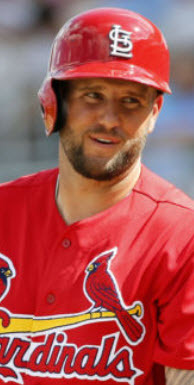 If you were John Mozeliak, how would you view/use the plethora of young, talented, cost-controlled arms in your system/organization right now and in the next two or three years to come? Stockpile, trade, etc.? If you say trade, who are you keeping and who are you trading away? I don’t expect you to put together deals – in other words, I don’t care who you trade for and with what team – but which arms are you keeping, which arms are you trading, and why for both? I’m not a fan of trading away any of these young pitchers but if Lance Lynn has another year like last season, where he has a strong first half and an inconsistent second half of the season, I would not be opposed to moving him somewhere else. It’s possible that Wacha could fill the rookie reliever role before going to the rotation. Shelby Miller, Trevor Rosenthal, Carlos Martinez and Michael Wacha are the keepers because they throw hard and have the most upside. 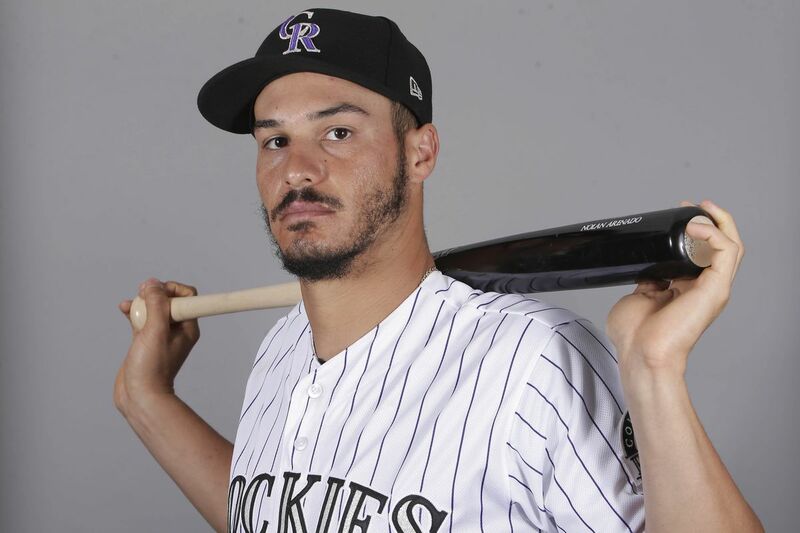 Some combination of Eduardo Sanchez, Joe Kelly, Maikel Cleto, Michael Blazek and Sam Freeman could be trade chips for help at shortstop and any other areas that need bolstering. Great question, and a complicated one at that. The organization has been headed down the path of developing home grown talent for some time now, and rightfully so. This is a trend, in my eyes, that must continue. The mantra of “you can never have enough pitching” puts the Cardinals in an envious situation for years to come. 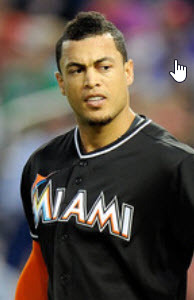 That being said, the organization has failed miserably in developing a MLB-adequate shortstop. 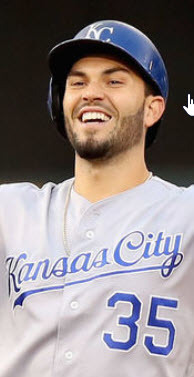 So, if Mozeliak can move a package of young arms for a shortstop that can man the position for years to come (Elvis Andrus, Asdrubal Cabrera, etc..) he should jump at the opportunity. I would be hesitant to include a Shelby Miller or Michael Wacha in a deal as I believe both possess the “stuff” capable of being top-flight starters and the bodies to hold up over many years. I would be painfully willing to see Trevor Rosenthal “or” Carlos Martinez as part of a package to acquire a shortstop, but I wouldn’t package them both together in the same deal. I think there comes a point where you have to deal some of these arms, because as we’ve seen, developing middle infielders has been a bit rougher on the Cardinal system. 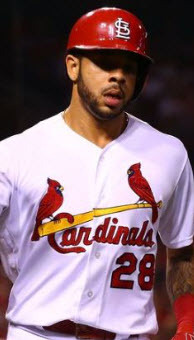 Besides, assuming the scenario Daniel lines out for the rotation, you still have to start finding room for Wacha, Carlos Martinez, perhaps Jordan Swagerty….. At some point, it’s just gluttony. And as much as we like all of these pitchers and want to see them all in St. Louis, that just doesn’t seem possible. I agree with Mark’s first three, definitely. I like what Wacha has done and how quickly he’s moved, but I can’t quite yet put him on the untouchable list. The problem is, of course, that while we are always willing to deal relief arms, teams are going to be looking for starters. So there are some painful (but good) choices coming Mo’s way shortly. I don’t believe the mindset should never be that someone is “untouchable”. I could see the Cardinals trading a pitcher but remember that we, as Cardinal fans, tend to over-evaluate our won, and that means that we have a good crop but the others may not want our lesser group of pitchers after the Big 3 or 4 or 5. Tyrell Jenkins hasn’t had the time to develop but would be one I would put in a trade but he can’t fetched anything but a middle major leaguer at best at this time. Also, duplication is something that we need to pay attention to… Is Joe Kelly and Trevor Rosenthal close to the same pitcher? Is Lance Lynn a triplet? What I am saying is that I would trade any of them for a starting shortstop or second basemen of quality. I am not hanging on to any of them just because they throw hard. Keeping all, until I can be sure that one or more of them will be a known commodity. There are still no guarantees that Miller, Rosenthal, or any of these heralded prospects are future Cy Young candidates. Similarly, there are no guarantees that anyone in the current “locked-in” rotation will start the 2014 season there. Plenty of question marks, and as we sit today, not enough answers. If a no-brained presents itself, I’ll listen, but no shopping them around. I think you have to let this season play out. There wasn’t a lot of movement this offseason and some of these younger arms just barely saw the MLB light of day at the tail end of last season. How do we know exactly what we have? You don’t want to give up a Cy Young caliber pitcher unless you’re getting a blockbuster deal, and we just don’t know yet. We also don’t know what will happen at SS after 2013. Heck, we don’t even know what will happen at SS *in* 2013. In my opinion, there are just too many variables, and simply letting 2013 happen will answer a number of those questions, at least on the trade chip availability side. I do want to clarify that I’m not suggesting they ship any of these guys out in spring training. Just that in the next couple of years, more likely than not someone’s going to have to go. The first one is the trickiest statement because I don’t mean that they provide the roster with talent from the system. Look at the Royals. They identified a need in the rotation and a surplus of talent in the minors. They dealt a guy that many think is “can’t miss” and satisfied a need at the major league level. Their minor league system provided talent to the major league roster through a trade. At the same time, home developed guys at multiple positions allowed them to take on the extra payroll with the acquired players. If the Cardinals have the opportunity to deal a high level prospect for a glaring need at the major league level (middle infield currently) that can make a major impact, then the system has done it’s job. If that means they take on a player with a higher salary but they feel they can because they have cost controlled players in the rotation and at various spots on the field, then the system has done it’s job perfectly. Ultimately, I think some of these guys stay and some go. My gut tells me that Salas and Kelly may end up elsewhere. 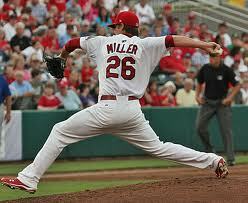 Meanwhile, Miller and Rosenthal will provide the salary relief and strong production in the rotation. And like Nick says, they are not known commodities, so either way, it’s a gamble. As you alluded to, the price of quality pitching just keeps going up. The Cardinals are going to have to decide relatively quickly whether they want to pay Adam Wainwright in the neighborhood of $25 million a year to be their ace going forward. Based on that, it makes more sense to try to develop young, cost-controlled arms that you can keep for up to 6 years, rather than going the free agent or trade route. Given that and the old saying that “you can never have enough pitching”, I would try to hold on to as many of these young pitchers as possible. In particular, I would keep the big 4 of Shelby Miller, Trevor Rosenthal, Carlos Martinez and Michael Wacha. Between filling holes in the rotation as well as the bullpen, the Cardinals certainly can find plenty of uses for them going forward. Beyond those 4, I would say anyone else is fair game for a trade to fill other holes. And, if negotiations stall with Wainwright, I wouldn’t be adverse to using him as trade bait for that shortstop/3B in the Texas organization. I suppose that good resource management always consists of trading from an area of strength to patch up a weakness, but it’d be very difficult for me to get behind very many deals involving the young Cardinals of the future. I fall into the prospect hoarding category, and I admire all teams that build well from within, so when the Cardinals started drafting this way, I was thrilled. We’ve seen in the past, however, that prospects can add just as much value to a team by getting shipped out in exchange for some other kind of talent, so for the right price, I wouldn’t call any of the arms totally untouchable just as long as the trade involves the ghost of Honus Wagner and only one of the pitchers. Like many have said, I’d be inclined to let this season begin, and play out somewhat in order to make a more informed decision. What nobody is saying, that I’d strongly consider (maybe even lean towards), would be to let Waino go. He’s a great guy, and an outstanding Cy Young type pitcher, no question. But from a value standpoint, when you compare dollars per: K/9, K/BB, W, WHIP…etc, or pretty much any other stat, when one side of the equation is $20,000,000. I think there are similarities between an impending Waino deal and the Pujols deal: Similar production from more than one other, less expensive (and lower injury risk) players. One area where it differs is that, you’re not going to take up an additional roster spot, or rotation slot, and throw two guys that pitch the first 3 or 4, then the next 3 or 4 innings on a day that would’ve otherwise been Wainwright’s turn in the rotation. I get that. If I’ve got 7 cars on my property, and only have room for 5 in my garage, I’m going to do one of two things. (Well, if I’ve got 7 cars on my property, I probably find myself inundated with trailer park jokes all day, every day) I digress. I’m either going to bring the most expensive car into the garage and protect it from the elements as best I can, or I’m going to get rid of one or two of the cars that are more costly to maintain. This assumes the purpose of the cars is to simply get me 200 innings a year, and relative “filth of a curveball” is irrelevant to the end that it doesn’t show up in the boxscore. If I’m a car collector, like Steinbrenner was, that’s different. But I’m not. Tim Lincecum (of the twice-in-three-seasons World Champion Giants) has never signed a free agent contract. Youth is king, and these $20M/yr deals have been solely for the purpose of buying out arbitration years. In 2009, the Giants had Lincecum, Zito, Cain, and a 19 year-old Bumgarner on their squad to compliment veterans like the big unit and Brad Penny. Affeldt and Romo were there too, but “the beard” finished 60 games that year. But while the bullpen is a factor in the discussion/QOTD, I’d like to stay focused on the young guys and their starting rotation: Lincecum & Cain. Those guys made$650k and $2.9M, respectively in ’09. Their club won it all in ’10. In 2012, Lincecum was an overpaid (yet HIGHLY effective) weapon out of the Giants bullpen in the postseason, surely not what Sabean had in mind, but a $20M/yr long relief guy probably isn’t it. Plus, we all know that if he doesn’t turn it around this year, Timmy is in a very different situation as many thought he’d be when he hit his first year of free agency. Lincecum will make just over $22M this year. Cain, roughly $21M, and Bumgarner hasn’t “gotten paid” yet, and will make $750k in ’13. It’s certainly within the realm of possibility to see SF let Timmy go, and spend the opportunity cost of his salary on Bumgarner and others ($20M goes a long way with young pitching) and still field an exceptional team, with a formidable pitching staff for years to come. If you owned the club, wouldn’t you have to at least consider it? 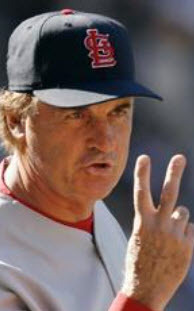 Let’s be realistic, the job of a GM is to execute on the wishes of the ownership, ask Ned Colleti. In ANY other situation, no GM in their right mind would do what he’s done, and not be fired by the time the sun set that day. All I’m saying is that, in an awful lot of ways, it makes an awful lot of sense to not sign Adam Wainwright to a mega-deal. Especially when there are so many young arms that, while far from “proven winners”, could still provide a huge boost for the club long-term. If there weren’t so many arms on the radar who are close to being ready, or in some cases already ready for the big show, I might say otherwise. And I know it wouldn’t be popular among fans, but I’d give serious consideration to letting Waino get paid somewhere else. Not that I’d ever look forward to facing him. Agree on the Wainwright issue… be careful management. be able to really live up to it’s billing, but that’s okay. that Shelby, Wacha and Rosenthal are the ones you want to hold onto. could play large roles in the niches they have already. with some other prospects? Absolutely. these guys go. Who it is, tomorrow never knows. deal still leaves them in great position. The Cardinals are in a pretty good spot when it comes to the market. There are some variables (Waino $, Garcia health, Furcal health) I believe that need to play out before even considering making any personnel changes unless it’s an offer they can’t refuse. It will be beneficial to allow more time for player development and assessment before pulling the trigger on anything. 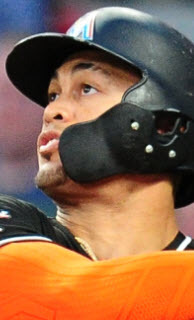 Also it was this time last year when most said the same thing about the arsenal of arms the Cardinals had and then Carp goes down with an injury, Garcia followed and Shelby Miller was having first half growing pains in Memphis. By the trade deadline it was a little shaky. James Shields to STL the twitter army cried! In all seriousness things can go south pretty quick health wise and having quality arms to step in is a luxury. 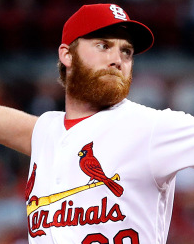 I’m guessing at some point either during the upcoming season or in the following off season the Cardinals will complete a trade that involves one or more arms but I have no guesses as to who. The market will establish itself with those teams who feel that one starting pitcher could be the key to a playoff run. Maybe it’s the Indians, or the Rangers , or that persistent Mystery team. Regardless it would be nice if the Cardinals were in a position to set the stakes of the transaction. With three playoff spots available to all teams it not only keeps more teams involved for a possible trade but also means the Cardinals don’t need an All Star at every position to make the playoffs. If they have to go with replacement level in the middle infield then so be it. I think we all know that road pretty well anyway. I agree with some of the sentiment from above. The Cards don’t need to make any quick decisions especially until Waino is locked down. Let the season play out, but the amount and quality of young arms is truly amazing. I like having the young guys pitch in the bullpen at the beginning of the year like Waino did and Rosenthal is doing now (assuming he doesn’t get the #5 spot). We can’t forget about lower level prospects that could have a future in the bullpen like Cleto, Blazek, Fornataro, etc. Also future starters in Gast and Maness. Watch out for Jordan Swagerty this year! Maybe we could get a piece late in the season without having to give up multiple top prospects. As the famous quote goes, you can never be too rich or too thin — or have too much young pitching. 1. Only 1 top flight pitcher in any deal. In other words, Miller and Rosenthal in the same deal would be ludicrous. Including 1 of our big arms with a package of the right position prospects and/or a group of second-tier arms should be enough to land most needs. 2. Leave Miller and Rosenthal out of it. If I had to bet on just two guys long-term right now, it would be Shelby Miller and Trevor Rosenthal. Even Lance Lynn is vulnerable for the right deal (honestly, after an 18 win, All-Star season in his first year in the rotation, it might not be a bad idea to sell high). Any arm – at this point – without an inning at the Major League level is available as well. That being said…with a potential Waino contract pending, Yadier Molina and Matt Holliday contracts already in full swing, and an Allen Craig (and possibly David Freese) contract just over the horizon, the value of cost-controlled, potentially-elite starting pitchers cannot be overstated…especially if Jaime continues to be Jaime.